The demand for mobile gaming has resulted in many of the world’s best software developers optimising their most popular games for use on the smaller touch screens of smartphones and tablets. Each game provider brings its own flavour when it comes to themes, format and design: This article provides an overview on the best mobile casino software available and explains which mobile casinos use which software studios. Roxy Palace – Roxy Palace is powered exclusively by Microgaming, with the mobile casino offering a selection of Microgaming’s most popular pokies along with a few mobile optimised roulette and blackjack variants. Leo Vegas Casino – this award winning mobile casino offers games from a large variety of software studios, including NetEnt, Microgaming, BetSoft, Elk Studios, Thunderkick, Play’n Go and live dealer mobile games from Evolution Gaming and Extreme Gaming. Thrills Casino – not only does Thrills offer a spectacularly designed mobile casino, it also offers a huge selection of multi-provider games from leading game studios like NetEnt, Microgaming, Yggdrasil and BetSoft. 7Sultans Casino – another Microgaming powered casino, 7Sultans offers the same selection of mobile optimised games you’ll find at a majority of Microgaming sites, available in browser-based play for a majority of smartphone and tablet models. 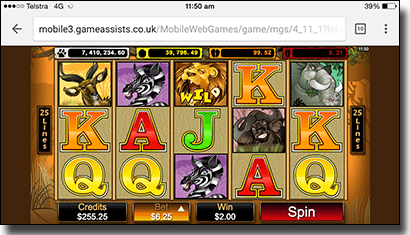 If you’ve played at a desktop casino and have moved on to play on your mobile device, one of the first things you’ll notice is the portable game variety is nowhere near as large. This is because not all games get optimised for mobile use, with older games usually being neglected for the newest and most popular titles. Different software providers also cater differently to the mobile market, with some providing more mobile-friendly games than others. Below are the three software studios making up the majority of the mobile casino games you’ll find at leading sites, with games available in instant-play mode for both Android and Apple operating systems. Microgaming mobile slots – Win Sum Dim Sum, Bar Bar Black Sheep, SunTide, Wild Orient, Game of Thrones, Bikini Party, Thunderstruck II, Dragon Dance, Avalon, Lucky Koi, Wild Orient, Bridesmaids, Rugby Star, Ariana, Mega Moolah, Major Millions, Cash Splash, Treasure Nile. Microgaming mobile table games – American Roulette Gold, Vegas Strip Blackjack Gold, Vegas Single Deck Blackjack, Atlantic City Blackjack Gold, Classic Blackjack Gold, European Roulette and European Blackjack Gold. Microgaming mobile video poker – Jacks or Better, Double Double Bonus Poker, Bonus Deuces Wild, Deuces Wild Poker, Aces and Eights Poker, Aces and Faces Poker. 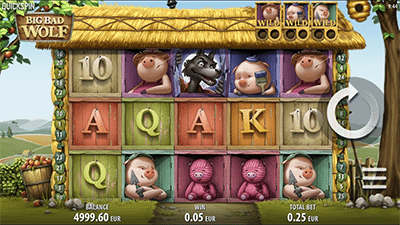 NetEnt mobile slots – Guns N’ Roses, Gonzo’s Quest, Jimi Hendrix, Starburst, Twin Spin, Aloha, Koi Princess, Glow, Big Bad Wolf, Spinata Grande, Jack and the Beanstalk, Neon Staxx, Drive Multiplier Mayhem, Fantasini Master of Mystery, Hook’s Heroes, Aliens, Tornado Farm Escape, Piggy Riches, Mega Fortune. NetEnt mobile table games – Blackjack Touch, Single Deck Blackjack Pro Touch, Blackjack Classic Touch, Roulette Touch. 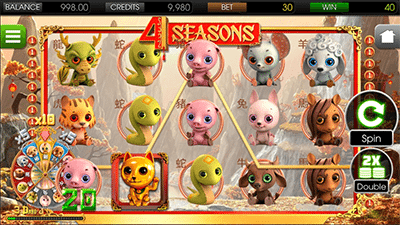 BetSoft mobile slots – 4 Seasons, Safari Sam, Under the Sea, Puppy Love, 2 Million BC, Birds, After Night Falls, Boomanji, Gypsy Rose, Once Upon a Time, Pinocchio, Rooks Revenge, Sushi Bar. Sample mobile games from several of the best software studios at Leo Vegas Casino, with hundreds of games on offer for free or real money bets. Sign up using our links to claim a 200% welcome bonus plus 200 free spins to use on selected slots.